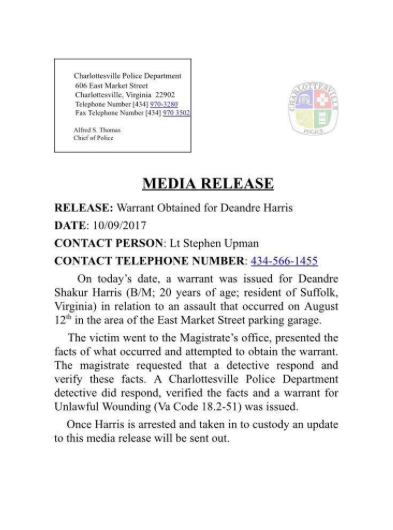 We can’t make this up: African-American school teacher DeAndre Harris, victim of a beating by neo-Nazis in Charlottesville in August, has been ”” ready for this? 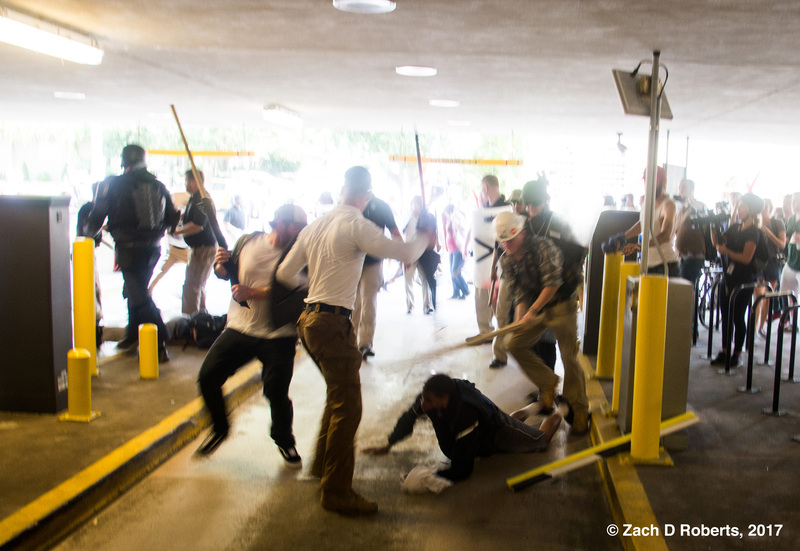 ”” charged with assaulting the white supremacists who beat him with boards, iron rods, and brass knuckles. That is correct. 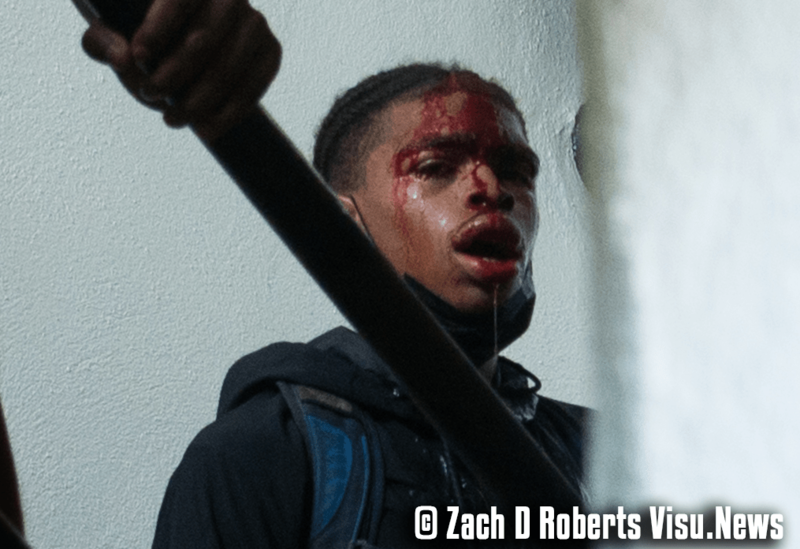 Harris, in photos released by Truthout and carried worldwide, was shown being beaten close to death ”” has now been charged with the same crime as his attackers: “unlawful wounding”. 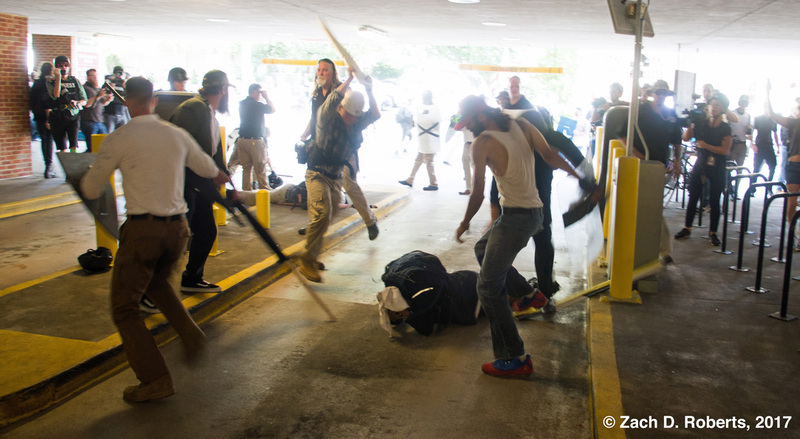 Above: Alex Michael Ramos, Dan Borden, and three more unidentified males brutally assault school teacher De’Andre Harris in a parking garage in Charlottesville on August 12. Photo: Zach D Roberts. 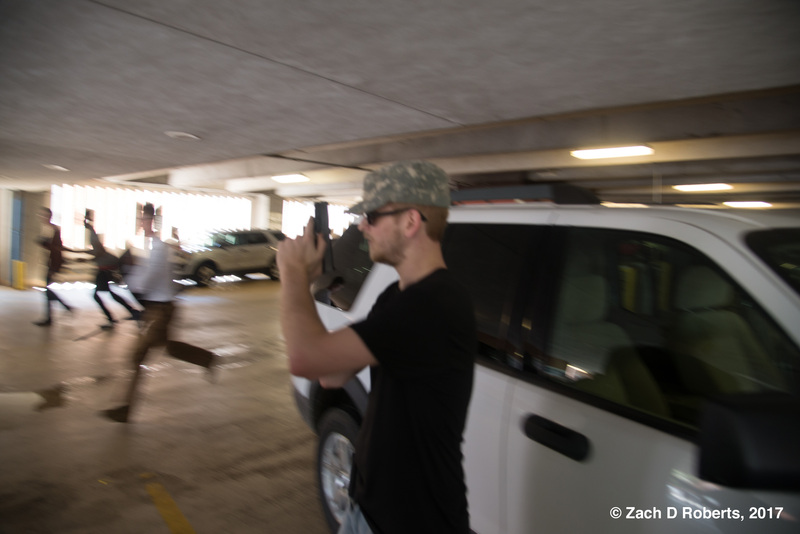 On Monday, August 27, police finally arrested the second of two assailants identified from Palast Investigative Fund photographer Zach D. Roberts’ Charlottesville photos. Alex Michael Ramos, who surrendered himself to the Monroe County Sheriff’s Office in Georgia on Monday evening, has been charged with one count of malicious wounding. Fellow attacker, Dan Borden, faces a similar charge for the brutal assault of Black school teacher De’Andre Harris, which nearly cost him his life. Above: Can you identify this man? (Click on image to view high resolution file.) Photo: Zach D Roberts. 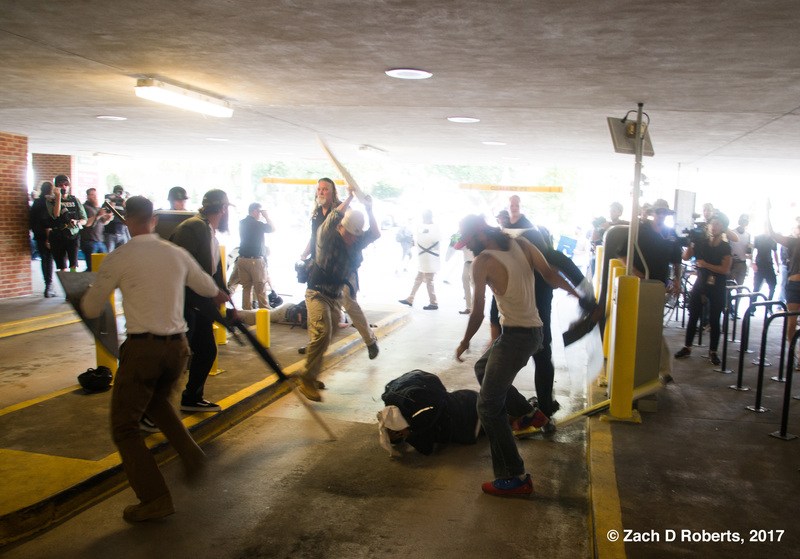 Above: Dan Borden attacking De’Andre Harris in a Charottesville parking garage. 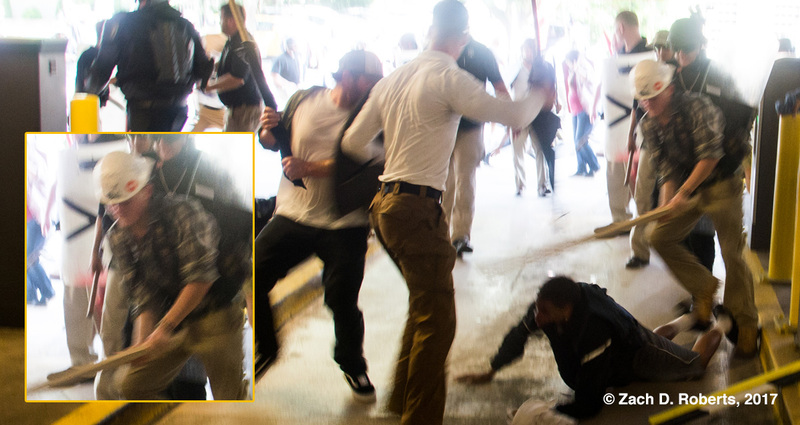 Neo-Nazi Dan Borden, who nearly beat Black school teacher De’Andre Harris to death in Charlottesville on August 12, has been arrested after being identified via photos taken by courageous Palast Investigative Fund photographer Zach D. Roberts. 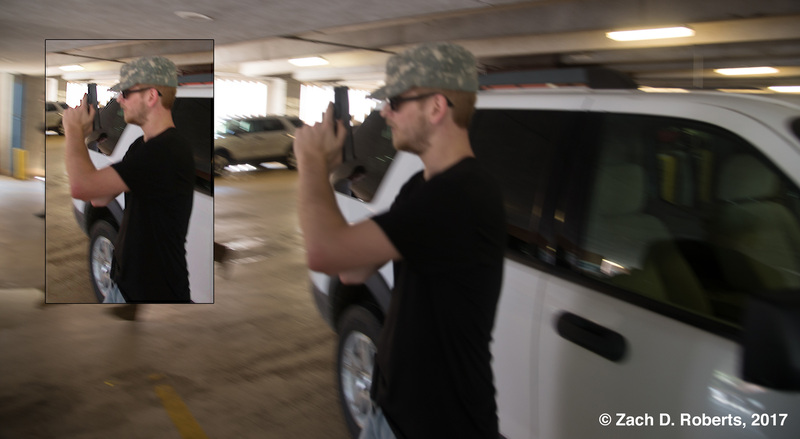 Borden also assaulted Roberts, who kept taking photos of the skinhead attackers even after the attackers’ pal pulled a gun. Journalism saves lives””when it doesn’t lie.